Twitter quietly launched a Lite version of its Twitter app. Twitter Lite will only require less amount of data to function when compared to Twitter's native app. The app is aimed at places where the data cost is very high. It was released in Philippines as an experiment to test out the app and also increase the number of Twitter users in Philippines. Data cost is very high in Philippines, and a dating saving app would be preferred over the data-hogging native version of the app. Twitter also had the aim to increase the number of Twitter users in the Philippines market when they released the app here. With a size under 3MB, Twitter Lite does not take much of the phone memory and loads quickly. The app works well with both 2G as well as 3G. The app is mainly designed for areas where data speeds are less and data costs are high. This is a good idea to haul in more uses from emerging markets from across the globe. With the help of “media-free” mode, the user can select the images or videos that he wants to see and reduce unwanted usage of data. The app uses lesser data even in normal mode. Twitter Lite is similar to the native app and has all the important functionalities of the native app. Earlier, Twitter had rolled out a web-based Twitter Lite which helped users with phones without the Play Store or App Store to access Twitter Lite from the web using a browser. Here, data usage can be controlled with the help of the Data Saver mode. By turning this mode on, data usage can be controlled by downloading only the images and videos that the user wants. This web-based Lite version has all the same features as that of Twitter native app such as one-tap access from home screen, get push notifications like the push notification that you get from the Twitter app, offline access lets you read loaded content even if there is no network and safe browsing provides privacy. You can check this out at https://mobile.twitter.com/. This web-based Lite version has all the same features as that of Twitter native app such as one-tap access from home screen, get push notifications like the push notification that you get from the Twitter app, offline access lets you read loaded content even if there is no network and safe browsing provides privacy. 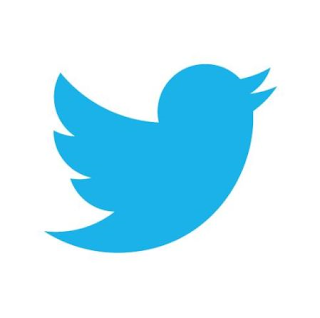 Twitter is one of the mostly used social networking service and with the release of the Twitter Lite app, they hope to haul in more users and connect them with the world. Social networking services like Facebook and LinkedIn have Lite version of their apps, Google has a Search Lite app and now Twitter is also among them with the Twitter Lite. This a very good business move by Twitter to haul in emerging markets. If you are in the Philippines, go to Google Play to grab the app.